We offer a very selective line of high quality sterling silver and pewter bracelets that will be the perfect accent to your outfit. We have torque style bracelets, link and chain style bracelets, and even cuff style bracelets. Our medieval and Renaissance style bracelets will complement your outfit nicely. You will find medieval styles for both women and men here. 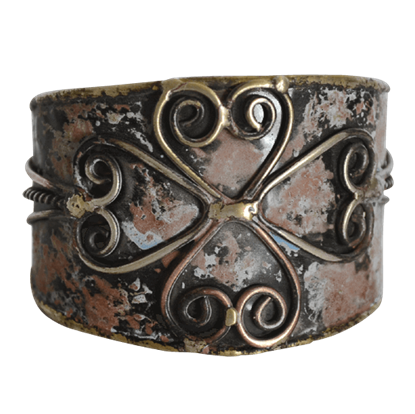 Worn and weathered, this Aged Antique Mixed Metal Cuff Bracelet looks like it has seen a bygone era. This unique look gives this bracelet a unique sort of charm that allows it to fit right in with a wide variety of different styles. There are dozens of ways that you can carry a cross, either physically and metaphorically. 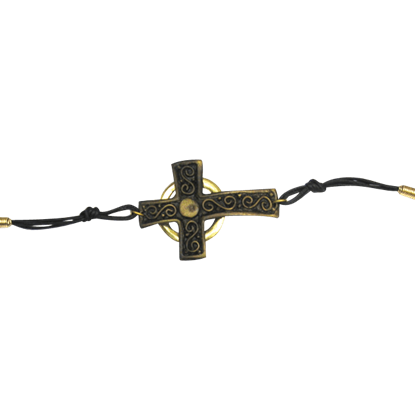 This Antique Brass Cross Bracelet is a more literal way, allowing you to keep the cross at your wrist as a fine accent or as a personal symbol. 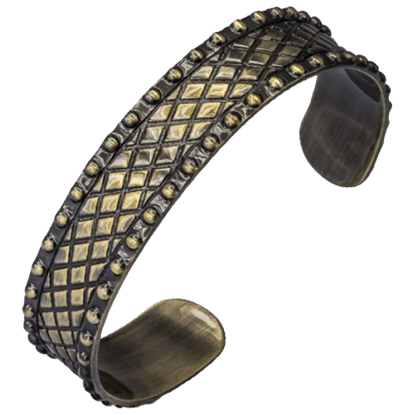 Displaying an elegant, vintage design, the Antique Brass Grid Pattern Bangle matches both modern and historical looks. Whether you are a medieval queen or ancient goddess, this lovely bracelet is a beautiful accent to your style. There are dozens ways that you can carry a cross, either physically and metaphorically. 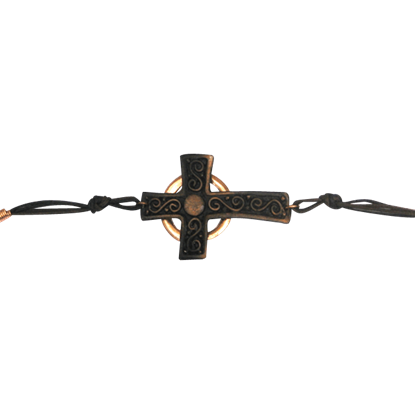 This Antique Copper Cross Bracelet is a more literal way, allowing you to keep the cross at your wrist as a fine accent or as a personal symbol. Mystic elegance meets modern style and takes the form of the Antique Silver Amazonite Bracelet. 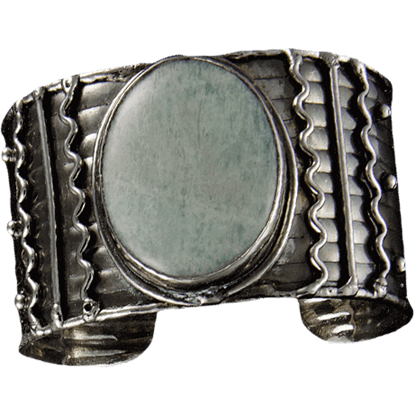 This silver cuff bracelet showcases a large, oval shaped amazonite gemstone at its center. Lines of scrollwork decorate the silver cuff. There are many ways to carry a cross, either physically and metaphorically. 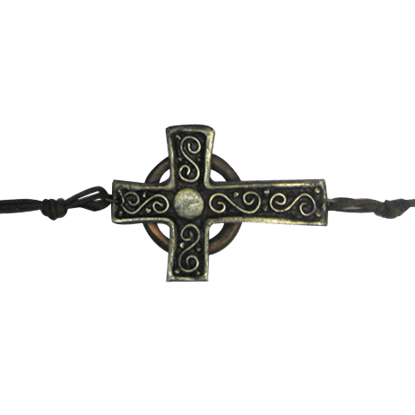 This Antique Silver and Copper Cross Bracelet is a literal way, allowing you to keep the cross at your wrist as a fine accent or as a personal symbol. 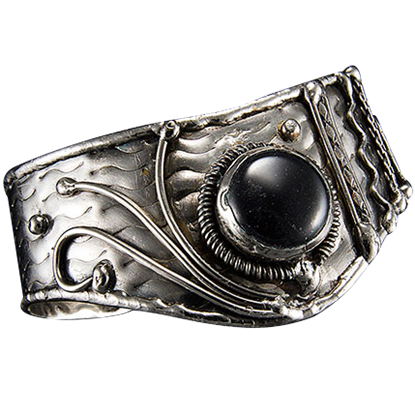 Its central stone as black as night, the Antique Silver Black Onyx Cuff Bracelet is perfect for adding beauty and interest to medieval, fantasy, and modern looks alike. The antique finish enhances its rustic, almost mystical look. Combining timeless style with versatile appeal, the Antique Silver Braid Cuff Bracelet is an elegant accent for everyday occasions and special events. 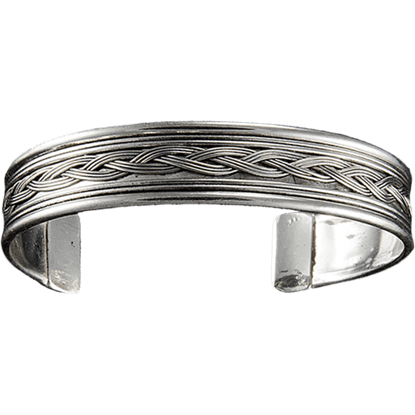 This Celtic braid bracelet has an antique finish for a rustic yet ethereal look. 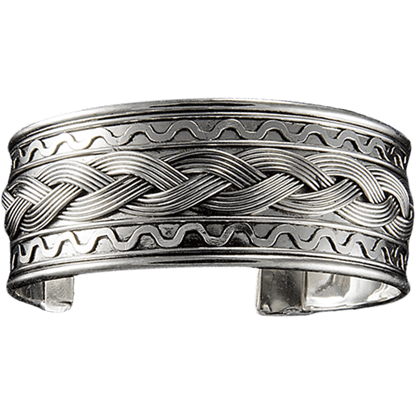 A bold braid decorates the length of the Antique Silver Braid Wide Cuff Bracelet, adorned on either side with wavy lines. Add a touch of daring as well as classic elegance to your style with this antique finished, open cuff bracelet. Resembling the cracking pattern of dry earth, this artisan bracelet shows off an eye-catching geometric pattern formed from etched lines. 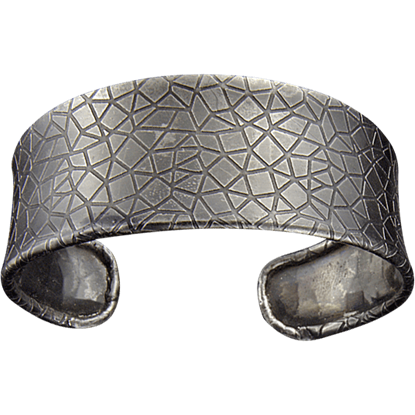 The Antique Silver Crackle Cuff Bracelet makes a fantastic accessory for your favorite outfits. 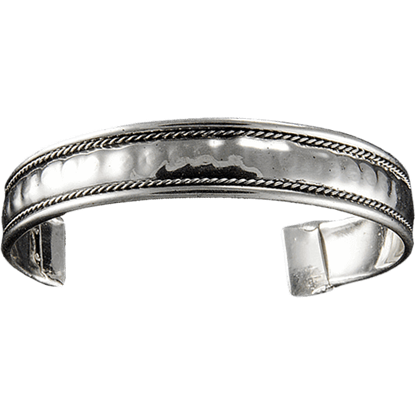 Have some silver lining close at hand when you slip the Antique Silver Cuff onto your wrist. This adjustable, open back bracelet beautifully accents almost any style, with just enough detail embellishing the antique finished cuff. 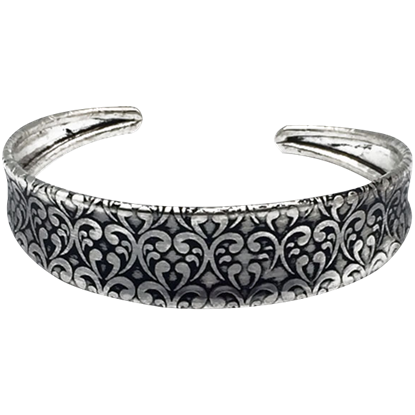 Show off unmatched elegance when you wear the Antique Silver Damask Cuff Bracelet. This medieval bracelet is brass plated with antiqued silver and has a curling damask pattern throughout its tapering, gently adjustable length.